Nourish your skin and let it glow with our facials. You will find full body treatments at our spa, as well, so you can rejuvenate and polish your body through a variety of relaxing massages. If you’re looking to bring balance and inner beauty back to your body, our treatments can provide a personalized and relaxing break from the hectic day to day. Our experts consult with guests to create a customized treatment for you. We are Jacksonville North Carolina's premiere salon and day spa. Let our team of highly experienced professionals provide you with outstanding service and care in our inviting, relaxing atmosphere. 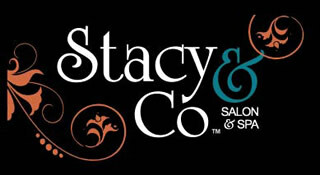 Stacy & Co. Salon and Spa is the place for personal pampering and excellence in service.